RASPBERRY, JOAN J (Rubus idaeus Joan J). Fruit. 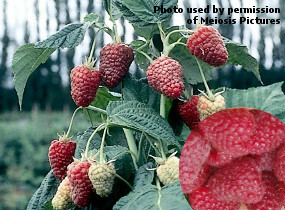 Heavy cropping, thornless new variety with beautiful glossy large fruit of excellent flavour. Disease resistant.